Drivers of corporate fleet vehicles will soon be able to pay for fuel using a mobile payment service that identifies the site and pump using Bluetooth Low Energy (BLE) beacons and authenticates the vehicle using NFC. The service is being developed by petroleum payment solutions and products provider OTI PetroSmart — a subsidiary of On Track Innovations (OTI) — and mobile payments provider Fuel Telematics Solutions (FTS). The partnership will see OTI PetroSmart’s EasyFuelPlus automatic vehicle identification solution, which is based on OTI’s contactless smart card technology, integrated with a cloud-based mobile payment platform developed by FTS to allow for vehicle authentication and enable payment with a fuel card or corporate fleet account. “The driver arrives on site and pulls up at the pump,” OTI PetroSmart explained to NFC World. 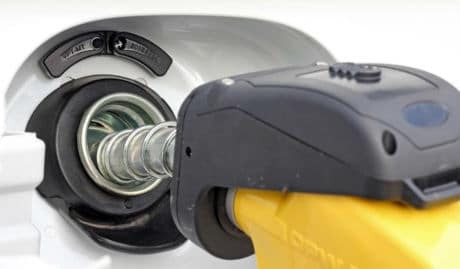 “The mobile app recognises the site and the specific pump by way of one of the following techniques — automatically, by using Bluetooth Low Energy (BLE) beacons attached to the pump or, with user intervention, by the driver scanning QR codes or entering location codes shown at the pump whilst still inside the vehicle. “When the driver inserts the refuelling nozzle into the vehicle’s tank inlet, an RF device attached to the nozzle reads data securely stored on the passive tag, which is in fact a contactless smartcard, and that data is accessed by the mobile app and cross-referenced against the vehicle data stored in the mobile payment platform,” the company added. “If the data stored on the vehicle tag matches with the data stored in the mobile app/platform, the pump will be authorised to begin dispensing fuel,” OTI PetroSmart continued.